Department of Agriculture (DA) Undersecretary for Field Operations and National Coordinator for Rice Program Dante Delima and Philippine Council for Agriculture and Fisheries (PCAF) Exec. Dir. 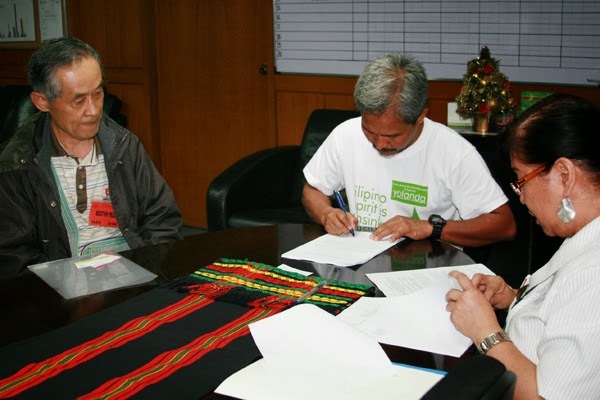 Ariel Cayanan signed the Memorandum of Mutual Understanding (MOMu) for the Safe Plant and Livestock Production Technology Dissemination Project (SPLPT) on November 25 and 26, respectively. The project is an initiative of the Japan Agricultural Exchange Council (JAEC) under the Japan International Cooperation Agency’s (JICA) Technical Cooperation for Grassroots Projects, in collaboration with the DA, PCAF and the local government of Minamimaki-Mura Town, Nagano, Japan. The project will provide technical assistance through a one-day seminar for local government unit (LGU) personnel and farmers in the targeted area to create awareness and understanding on the usefulness and practical methods of SPLPT and for policy planners in the national government and LGUs to support the dissemination of the technology in the grassroots level. The project will also include a three-year on-farm technical internship training for an initial batch of five farmers on vegetable and livestock production in Minamimaki-Mura in Japan. In top photo (from left) are JAEC Training Coordinator Yoichiro Kawasaki, USec. Delima and Local Support and Coordination Division Assistant Chief Solidad Bernardo. Lower photo shows PCAF Exec. Dir. Cayanan signing the MOMu in the presence of JAEC Traning Coordinator Kawasaki.